A person may rightfully assume that anytime a homeowner, restaurant, or store welcomes them inside, it is going to be safe for them to enter those premises. Every property owner has a certain amount of responsibility to ensure the safety of those who enter their establishment. Someone who is injured on another’s property need only show how an unsafe condition caused the accident, and that the owner was aware or should have been aware of the hazard. If you have recently been hurt in a business or a home, you could be entitled to receive compensation for those injuries. Ask a Missouri personal injury attorney to review your case and determine whether or not you have a valid claim. There are dozens of possible scenarios that could potentially cause you harm while on some one else’s property. From the parking lot to the cash register, retail stores are teeming with hazards. Slips and falls from spills are common as are injuries caused by falling merchandise. If you are hurt while shopping, the first thing to do after seeking medical attention is to file an accident report with the owner or manager. The next step would be to retain a Missouri personal injury attorney. Hotels and motels are a business that puts themselves in the forefront of premises liability lawsuits. With such hazards as pools and exercise facilities being standard in many, it is not uncommon to see a guest suffer injury. Even a robbery or assault can be grounds for a claim if you can show how inadequate security was to blame. A very well known hotel chain recently lost a case in arbitration due to a faulty chair in one of its banquet rooms. The chair collapsed and injured the back of the man as he attempted to sit down on it. Evidence brought to light showed a line of employees stating that they knew that these chairs were old and falling apart but used them anyway. The award given to cover medical care, future costs of medical care, and pain and suffering was $290,000. No business, big or small, is exempt from being responsible for the safety of its patrons. While Missouri law respects the fact that not every hazard will be foreseeable, they do expect business owners to routinely check the safety of their premises and any items that are commonly used in them. In this case, the hotel chain was held liable for not disposing of obviously broken chairs or having a system in place that routinely would check the safety of them. The key to winning a premises liability case lies in being able to show that the owner or someone in authority was aware of the hazard. One cannot be found guilty of something that they did not know about. On the other hand, if the hazard was obviously imminent, such as ice formation during a deep freeze, then ignorance may not work in the defendants favor. These types of cases often involve extensive research in order to prove negligence. 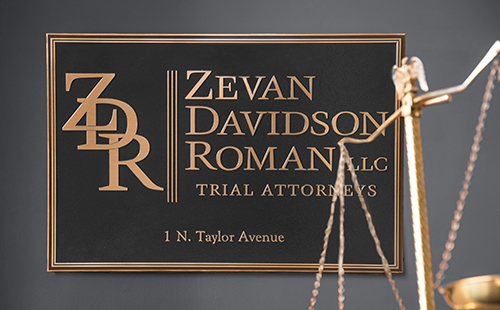 For this reason it is advised that you seek the help of Zevan and Davidson Law Firm at (314) 588-7200 if you are hurt on someone else’s property. When is it Necessary for a Business to Provide Security to its Patrons?